Isosceles is a cloud business phone service expert and can implement efficient systems that will improve communication and drastically reduce costs for your business. 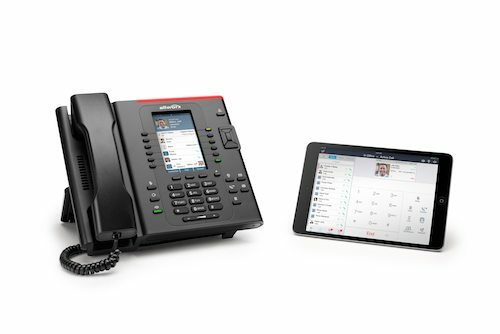 A cloud business phone service offers improvements to your phone system by integrating it with the latest technology. A Cloud PBX system includes all the features of the traditional PBX but with the modern features of a VOIP system. These features include apps in cell phones and remote phones. A cloud PBX system will usually be the best solution for businesses looking for five phones or less. At this level the business will see significant improvements in terms of cost effectiveness. The cost of a new system or hardware can often be paid for by savings made through a services audit and application of new rates or technologies. Isosceles provides free telecommunications audits for businesses to highlight all the benefits that your business could access by choosing a cloud business phone service. To book an initial consultation and find out how your business could improve communication and reduce costs by choosing a cloud phone system!